For over four centuries Vienna has been a musical center of international importance. 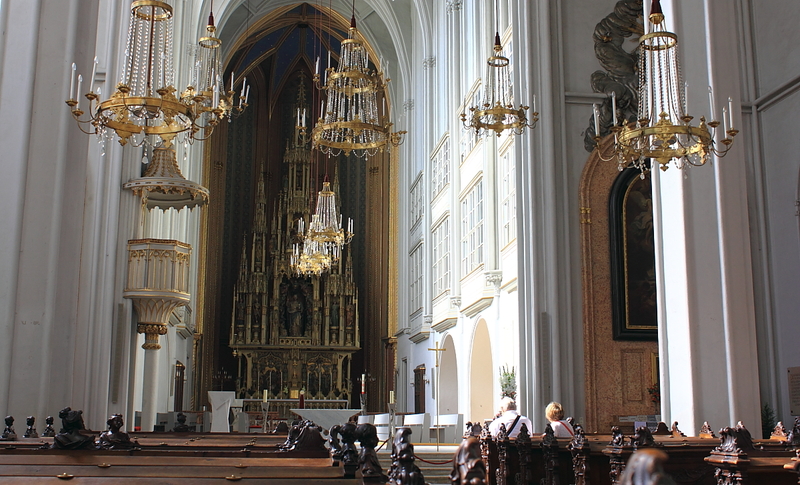 Thanks to the emperors of the Hapsburg dynasty, some of whom were talented musicians and composers in their own right, the Imperial Court Chapel supported a flourishing music culture from the 15th century. These favorable conditions continued during the Classical and Romantic eras, when composers such as Haydn, Mozart and Beethoven could rely on the support of wealthy patrons including Esterházy, Lobkowicz and Rasumovsky. These members of the Viennese nobility employed ensembles for orchestral, operatic or chamber music and commissioned compositions on a large scale. The consequent demand for stringed instruments had a great impact on the production of instruments in the city. Archival material such as receipts and inventories reveals that over the centuries most of the instruments in Vienna came from local makers, and to this day the Imperial Chapel owns violins by Posch and Stadlmann, while the Vienna Philharmonic has instruments by Geissenhof and Stoß. The Viennese tradition of violin making goes back to the 14th century. Several names of lute makers, some of them also recorded as makers of bowed stringed instruments, are mentioned in the city’s archival documents. In 1498 Emperor Maximilian I (1459–1519) initiated a reorganization of the Imperial Chapel, which had a major impact on instrument making in Vienna. From then until the 18th century the court employed musical instrument makers on a permanent basis. Called the Hof-Lauten- und Geigenmacher (‘lute and violin makers to the court’, a title that often appears on the labels of these craftsmen), they produced and maintained the stringed instruments for the Imperial Chapel. From 1655 the tax register of the city reveals the names of several otherwise unknown violin makers and the amount of the tax they had to pay. Before 1660 six members of the craft are mentioned, rising to seven in the 1690s, and from 1696 the city’s makers were organized in a guild. Among the founding members are names that are well known to this day, although few of their instruments have survived: Andreas Bär (d. 1722), Martin Fichtl, Matthias Fux (d. 1700) and Nikolaus Leidolff (d. 1710). Many makers considered as typically Viennese originally came from Füssen and the wider Allgäu region. For centuries this small town in south Germany housed a large number of lute and violin makers but its decline from the 17th century led to the migration of many of its craftsmen. As a result we find many makers with German-sounding names in Italy, France and, unsurprisingly, in Vienna (see The Füssen School, part 1 and part 2). Well into the 19th century we can observe a steady flow of violin makers from the Allgäu to Vienna. Posch’s instruments display a relatively high arching, beautifully carved f-holes and a transparent, luminous varnish. Among these was Anton Posch (1677–1742), one of the best Viennese makers of the Baroque era and a follower of Jacob Stainer. He came from Vils in Allgäu and took over the workshop of his teacher, Matthias Fux (Fuchs), whose widow he married. His instruments display a relatively high arching, beautifully carved f-holes and a transparent, luminous varnish. He and his son Anton Stephan (1701–1749) were appointed violin makers to the court. Posch made all sorts of bowed and plucked stringed instruments, among them a double bass that originally had five strings, with a special tuning system that is typical of Vienna, based on a D major chord. Slightly younger than Posch was Daniel Achatius Stadlmann (c. 1680–1744), who was born in Goisern (Upper Austria) but seems to have learned his profession in Vienna, where he took the oath of citizenship in 1707. In the same year he married Maria Elisabeth Kramer, the daughter of the violin maker Heinrich Kramer (d. 1718). 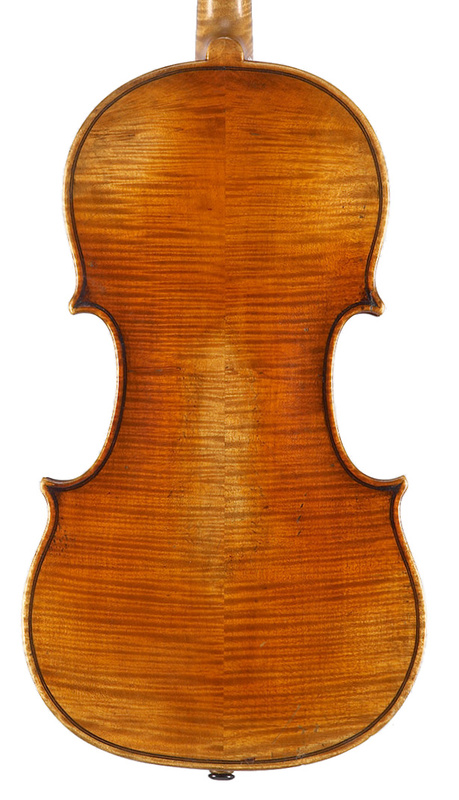 Stadlmann used a model orientated on Stainer with a full, high arching, and his light, golden varnish is particularly noteworthy. He made instruments of the violin family as well as barytons, viols and plucked stringed instruments. 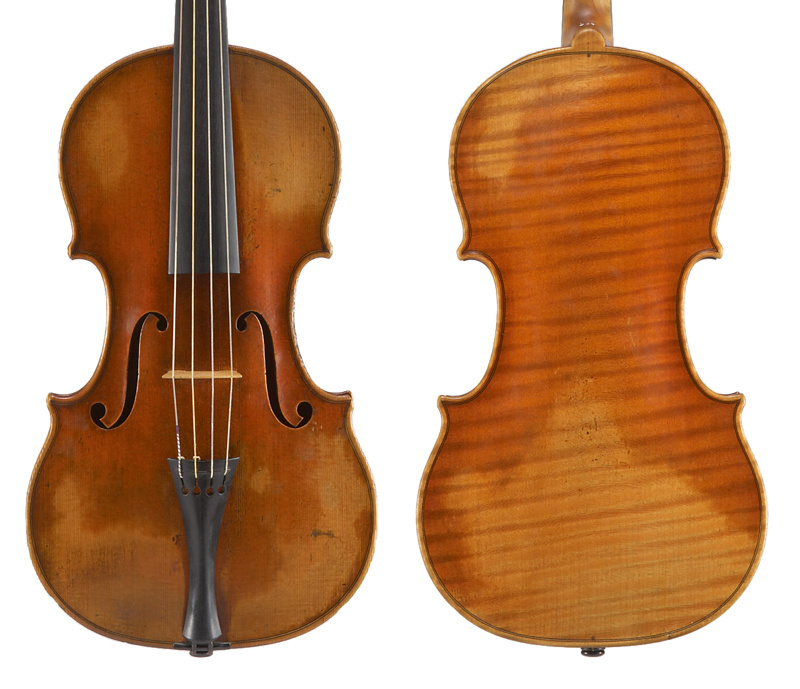 His son Johann Joseph (c. 1720–1781) studied with his father and subsequently spent eight years abroad (this was unusual for Viennese violin makers of the time). He gained citizenship in 1745 and in 1749 he was appointed violin maker to the court. One of his customers was Prince Esterházy, to whom he delivered instruments, bows and even strings. Unlike his father he mainly used a rather dark and opaque varnish, typical for Viennese instruments of the second half of this century. A third member of the family was Michael Ignaz Stadlmann (c. 1749–1813), grandson of Daniel Achatius and nephew of Johann Joseph. He took the citizen oath in 1772 and, judging by the income tax he had to pay, ran the biggest workshop in Vienna. Stadlmann seems to be the first Viennese maker to adopt a relatively flat model, orientated on Italian instruments. Most of his instruments display a dark varnish. Thanks to the high demand for stringed instruments during the Classical era, various makers of local importance were active in the city. Five members of the Leidolff (Leydolf) family worked in Vienna between 1673 and 1774. The most important was Johann Christoph, who used a model with high arching and f-holes with a broad and very typical lower portion. He also used a dark and opaque varnish. Members of the Fichtl family are mentioned in archival documents in Füssen as well as in Mittenwald. In Vienna we find a Martin Mathias Fichtl (1649–1707), who was a founding member of the guild. Another Martin Mathias was active until 1768 and made good-sounding violins that show precise craftsmanship and an attractive, light varnish. Various members of the Partl (Bartl) family were also active at this time and six makers of this name are mentioned in Viennese documents, although surviving instruments suggest that their work was of a considerably lower standard. Instruments of much higher quality were produced by the members of the Thir (Thier) family, who worked in Pressburg (Bratislava, Slovakia) as well as in Vienna during the second half of the 18th century. Johann Georg Thir (1708–1779) and his brother Anton (1721–1788, active in Pressburg) were born in Allgäu, namely in Prem near Steingaden. There is no information when Johann Georg came to Vienna, but in 1738 he took the oath as ‘bürgerlicher Lauten- und Geigenmacher’, which gave him all the rights of a master of the craft and the citizenship of Vienna. 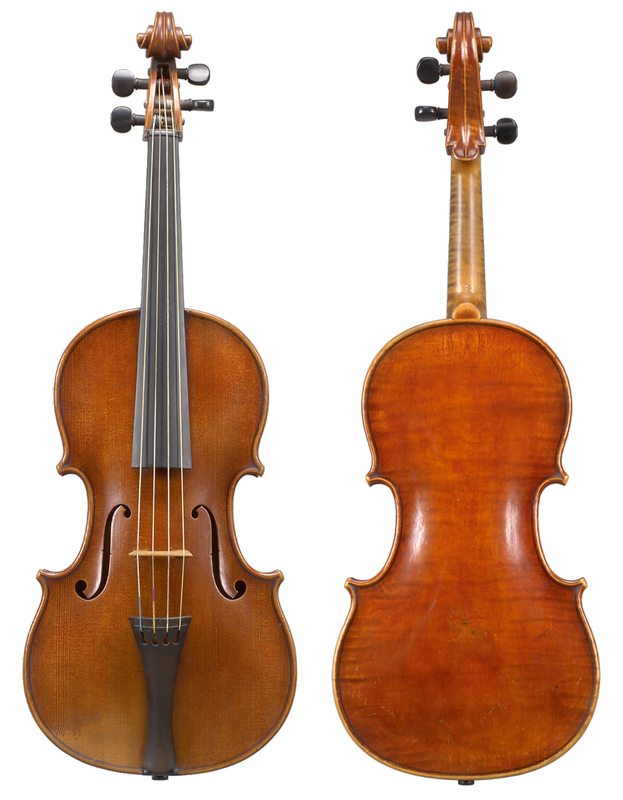 Unlike most other Viennese violin makers Thir was very prosperous, owned houses in Vienna and invested his money in interest-bearing bonds. He adopted a model that combines features of the south German and Tyrolean schools and his instruments have relatively high arching and beautifully rounded f-holes reminiscent of Stainer. Like the Tyrolean master, Thir also embellished some of his instruments with a carved lion-head. His varnish displays various shades of brown, from dark and rather opaque colors to beautiful reddish hues. Mathias Thir (1742–1806), a relative of Johann Georg, was born in Weyerburg, a village near Hollabrunn, Lower Austria. He was probably Johann Georg’s nephew, as in Viennese documents Mathias is called his ‘Vetter’ (a male relative). Mathias in turn was related to Sebastian Dallinger (1735–1809) and Franz Geissenhof (1753–1821) who both married sisters of Mathias. For a couple of years the three of them even had their workshops in the same house. Despite this close relationship the style and the quality of craftsmanship was different. While Mathias Thir ran a large workshop, producing a wide range of instruments from inexpensive and unattractive to nicely crafted examples, Geissenhof mainly worked on his own and always strived for high quality. Unfortunately this was not rewarded financially: upon his death Geissenhof left his widow practically nothing, whereas in Thir’s probate record his estate was valued at 77,000 Gulden. This was a huge sum, considering that in the same document his newly made violins were estimated at 6 Gulden each. Interestingly among his workshop items were several unfinished violins together with ten ‘Böhmische Violinen’ (Bohemian fiddles). This merchandise was valued at only 1 ½ Gulden per piece and represented the lower end of the quality scale. Few students of Geissenhof can be identified with certainty; among them were Franz Werner (1777–1820), from whom a handful of instruments are known, and Nicolaus Sawicki. Sawicki (1793–1850) came from a noble family in Galicia and attended grammar school in Lemberg (Lviv, now Ukraine). He lived with a violin maker who taught him the rudiments of his craft. Later he moved to Vienna and studied with Werner and Geissenhof. Sawicki’s workshop must have quickly gained a good reputation, because Paganini entrusted him to replace the fingerboard of his 1743 Guarneri ‘del Gesù’ in 1828. Sawicki’s workshop must have quickly gained a good reputation, because Paganini entrusted him to replace the fingerboard of his 1743 Guarneri ‘del Gesù’, the ‘Cannon’, during his stay in Vienna in 1828. 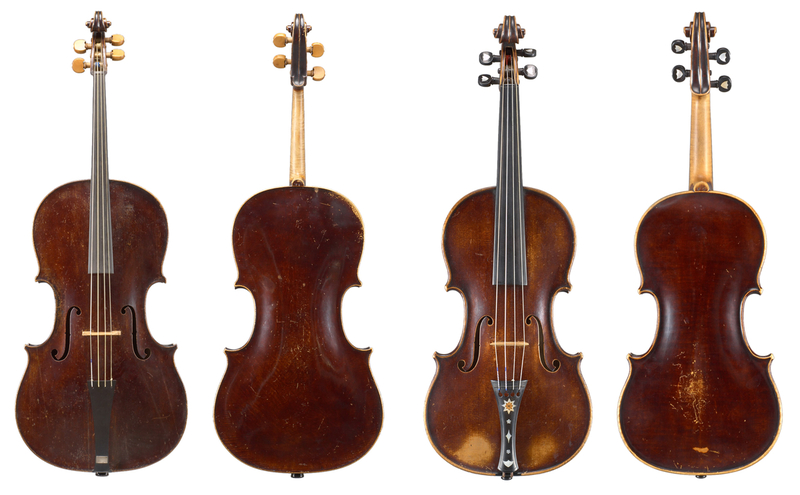 Sawicki subsequently made exact copies of this famous instrument; he also experimented with different models based on both Guarneri and Stradivari. His instruments display an extraordinary high standard of craftsmanship and a beautiful, transparent varnish. Thanks to their tone quality they are increasingly in demand today. 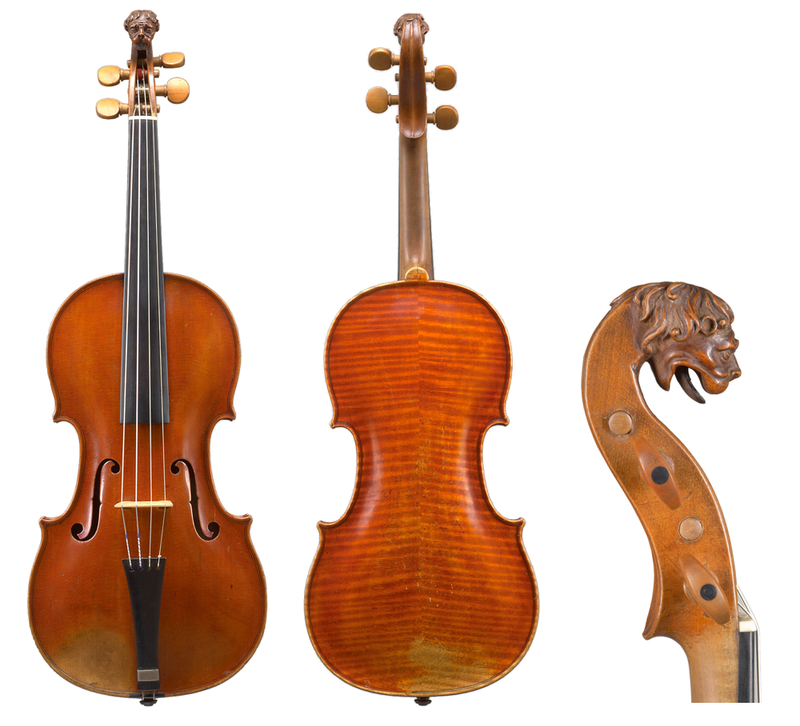 Other violin makers working in Vienna during the Romantic era were Bernhard and Martin Stoß (the latter known for his excellent cellos), Matthäus Ignaz Brandstätter, Anton Hofmann and Johann Georg Stauffer and his son Anton. The Stauffers mainly made guitars, but also held different patents for improving bowed stringed instruments. While his pegs with a worm screw (similar to the tuning mechanism of guitars) never found acceptance, we can find quite a lot of cellos whose neckfoot has been fitted with an adjustment mechanism of his invention. How was a typical Viennese workshop organized during these days? By definition a master was Geigen- und Lautenmacher (both violin and lute maker) and some of them also made guitars and other plucked instruments. The size of the different workshops can be estimated on the basis of the income tax their owners had to pay. These documents reveal that with few exceptions the masters worked alone or with just one journeyman. There is little evidence that also Viennese violin makers produced bows. A couple of templates for bows for double basses have survived but we can assume that most of the bows were imported, mainly from Saxony. Wettengel in his popular 1828 book on violin making describes the ‘Wiener Geigenbogenkopf’ (violin bow head), which slightly reminds us of the Cramer model. Some bows from the end of the century bear Carl Hermann Voigt’s brand; these were manufactured in the Nürnberger workshop in Markneukirchen. One factory for mass-producing stringed instruments operated in Vienna for a couple of years in the late 19th century. This was established by Carl Zach, who had studied the violin at the Vienna conservatory and in 1888 took over the workshop of his father, Thomas. He owned an outstanding collection of Italian violins and a shop in Vienna’s fancy Kärntnerstraße. He expanded his business and built a factory, but he obviously overestimated the demand and in 1898 the firm went bankrupt. When in 1870 the Gesellschaft der Musikfreunde (Vienna’s society for friends of music) opened its new building in the center of Vienna, it also housed a violin maker’s workshop. Gabriel Lemböck (1814–1892) was the first master to work there, succeeded by Carl Haudek (1862–1919). An important role of this workshop, which is open to this day, is the maintenance of the stringed instruments of the Vienna Philharmonic. Beginning with Lemböck the masters of this workshop kept ledgers that have survived. These documents are an important source of information about clients, prices for repair work and accessories and, most importantly, the trade in fine instruments. In 1905 Carl Hermann Voigt lamented in a newspaper article that the production of new instruments could not support a violin maker in the city. Other masters active in the late 19th century include Theodor Gutermann (1828–1900), Wilhelm Thomas Jaura (1863–1922; well known for his fine cellos), Carl Hermann Voigt (1850–1925) and Johann Stübiger (1864–1938). Around 1900 the main activity of these craftsmen was repair work and dealing in instruments and in 1905 Voigt lamented in a newspaper article  that the production of new instruments could not support a violin maker in the city. The import of cheap mass-produced fiddles from Bohemia had, in his opinion, ruined the market. The outcome of the First World War not only terminated the Austro-Hungarian Monarchy, it also had a disastrous impact on the production of musical instruments in Vienna. As a consequence of the political developments, the market was severely reduced and the capital of the Western musical world shifted from Vienna to Berlin. Production of new instruments further reduced during the following decades and the number of makers decreased dramatically. Fortunately since the late 20th century the situation has improved and today there are more than 30 makers active in Vienna. Rudolf Hopfner is director of the Collection of Historic Musical Instruments at the Kunsthistorisches Museum, Vienna. Instrument photographs courtesy of the Kunsthistorisches Museum. Rudolf Hopfner, Franz Geissenhof and his Time, Bergkirchen, 2009 (includes the Thir family tree and biographies). Gustaf Adolf Wettengel, Lehrbuch Der Geigen Und Bogenmacherkunst Oder Theoretisch Praktische Anweisung Zur Anfertigung Und Reparatur Der Verschiedenen Arten Geigen Und Bogen, 1828. Carl Hermann Voigt, Zur Gegenwärtigen Lage des Streichinstrumentenbaues in Wien published in Zeitschrift für Instrumentenbau, vol. 25 (1904/05), p. 951.